This week’s portion introduces us to Moshe Rabeinu, the messenger of Hashem who redeems the Jewish nation from Egypt. We are told of Hashem’s proposal to Moshe to lead the Jews out of Egypt, and how Moshe refuses the opportunity. Hashem responds again. Then Moshe respectfully demurs, “But they will not believe me, and they will not heed my voice, they will say “Hashem did not appear to you! '” (Exodus 4:1) Again Hashem responds by giving Moshe two miraculous signs that he, when challenged, should in turn show to the Jewish nation. Hashem patiently responds to each of Moshe’s excuses with a clearly defined rebuttal. Except when Moshe makes what proves to be his final plea. 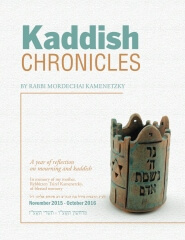 After exhausting all of his excuses, Moshe, seems desperate to absolve himself of the task and declares, “Send the one whom you usually send!” (Exodus 4:13) According to Rashi, Moshe was referring to Ahron, who prophesized to the Jews even before Moshe and throughout the time that Moshe was hiding in Midian. Suddenly, the conciliatory answers cease. “The rage of Hashem burned against Moshe.” Hashem declares to Moshe that Ahron is elated with the decision. “Ahron is going to greet you with joy in is heart!” (Exodus 4:14). There are no more protestations. Moshe journeys back to Egypt and into eternity. The question is obvious. What did Moshe finally say that inflamed the ire of Hashem to the extent that the Torah tells us that His “anger burned”? Hashem responded calmly to each of Moshe’s previous justifiable issues. Why did Hashem only become angry when Moshe evoked the concept of using Ahron, the one who normally and previously did the prophesizing? As a result of lower-level mismanagement, poor earnings, and low moral, the Board of Directors dismissed the CEO of a major corporation who had served faithfully and successfully for many years. 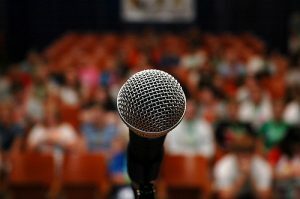 His wisdom and experience, however, were well respected in the industry and the new boss looked to the former executive for introductory advice. After a brief turnaround, things began to fall apart. Soon a crisis erupted, the employees were disgruntled, and chaos began to reign. The Board of Directors were once again looking to make major changes, and the unseasoned executive’s job was on the line. As hard as the young executive tried to calm the situation, it was futile. He locked himself in his office and opened the first envelope. In small but clear typewritten letters were the words, “Blame your predecessor.” He followed the advice but the results were short-lived. The following weeks were not productive. In fact, things were getting worse. It was time for the second envelope. When challenged with difficult tasks we must face the mission presented to us and deal with our own abilities. By shifting the responsibility to someone else, even if we feel he is better suited, we may be inviting wrath. Because when we are asked by Hashem to perform, then there is no one better to do the job. 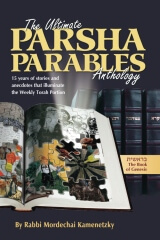 More Parsha Parables is now shipping! Request your copy by writing to [email protected] Just $15.95 through Project Genesis!